tel. +48 61 869 12 55; fax: + 48 61 869 15 53. "Child Neurology" is also fully available online. 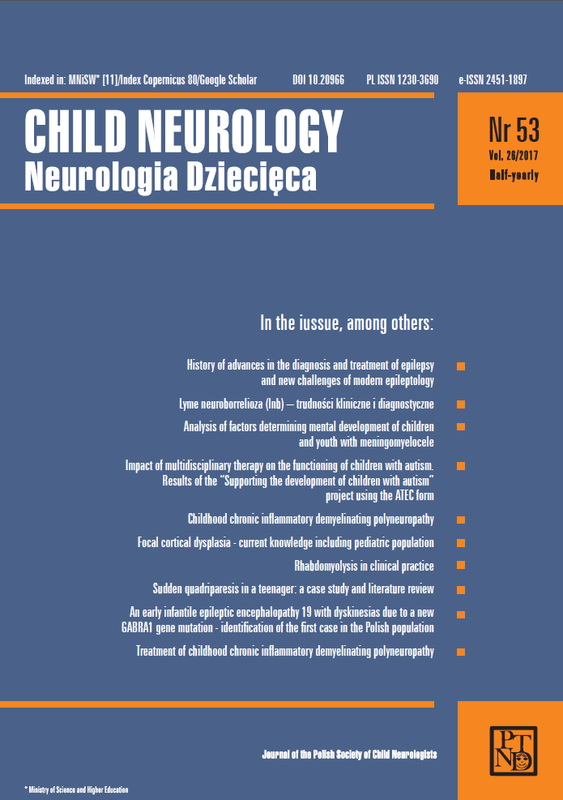 Detailed terms of subscriptions for non-members of the Polish Society of Child Neurologists and institutional subscribes are available on the website of the Journal. The Editors are nor responsible for the content of the advertisements. In any case, the Editors may refuse to publish the advertisement if it interferes with the mission of the journal. Detailed terms of advertising are available on the website of the Journal. "Child Neurology" complies with all ethical principles generally accepted in the scientific journals. The Editors reserve the right to request explanations from the first author.